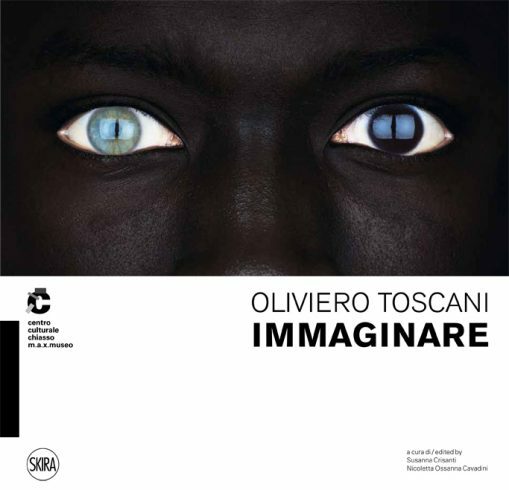 Oliviero Toscani (Milan, 1942), internationally renowned photographer and communicator, has always focused on the act ofimaginingas a conscious moment of choice as a photographer. Capable of driving others and himself creatively in the marvellous search for discovery and conquest, he uses transgression and provocation, forces that belong to art, and makes diversity a value against uniformity and for a free expression of communication. 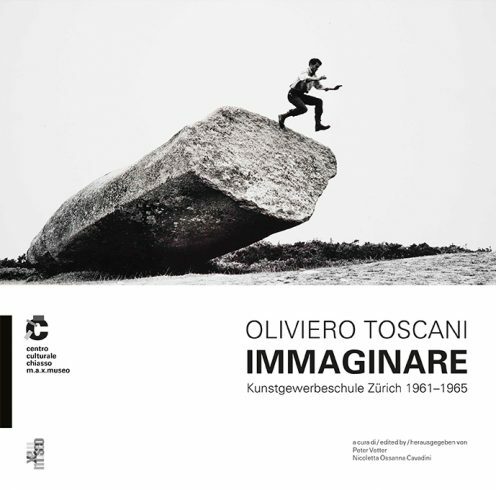 This volume presents only the section concerning images from Oliviero Toscani’s formative period at theKunstgewerbeschule in Zurich between 1961 and 1965, where his innovatory and visionary verve was already clear. This section of the exhibition was created thanks to the important loan from the Archives of the ZHdK – Zürcher Hochschule der Künste Zurich. Oliviero Toscani (Milan, 1942), photographer and internationally renowned communicator, has created images and campaigns for United Colors of Benetton, Esprit, Chanel, Robe di Kappa, Fiorucci, Prénatal, Jesus Jeans, Inter, Snai, Toyota, Artemide, the Italian Ministry of the Environment and Health, the Italian Red Cross, the Calabria Region, the Umberto Veronesi Foundation, and many others, devising campaigns on major contemporary issues of social interest – especially those concerning the death penalty, AIDS, anorexia, violence against women, strays and road safety. He has worked with the most prestigious publications, including Elle, Vogue, GQ, Harper’s Bazaar, Esquire, Stern and Libération. He also devised and edited Colors, the world’s first global magazine, and conceived and directed Fabrica, a research centre for creativity in modern communication. Toscani always focuses on the act of imagining as a moment of conscious choice in the photographer’s profession. Capable of driving himself and others creatively in the wonderful search for discovery and achievement, he uses transgression and provocation, forces that belong to art, and makes diversity a value against conformity for the sake of the free expression of communication. Here we present over fifty years of fervent and incessant activity. The multimedia exhibition covers the full range of Toscani’s output: from advertising and communication campaigns to editorials, from exhibitions to publications and interviews, from logos to corporate identity projects and videos. 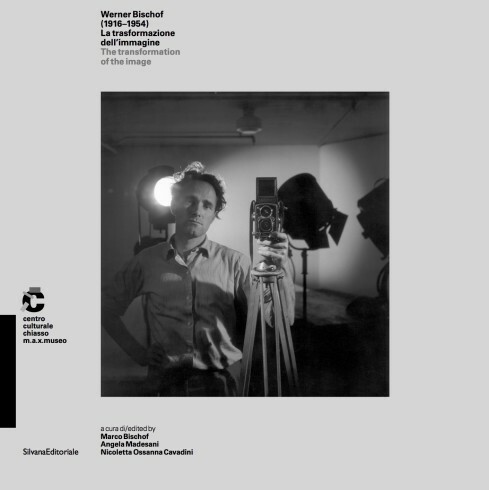 The definition of Werner Bischof as a “photojournalist” hardly accounts for the complexity and richness of his achievement as man, intellectual and photographer. During his short career, between the mid-1930s until his early death in 1954, Bischof approached the image in a dialectical way: he aimed not so much at documentation as to capture the most profound and authentic truth of feeling capable of transforming the image. The volume offers a wide selection of works, from his early research into art and advertising to the stories he covered in Europe during World War II, and then those from his last period, with the famous travel reportages for the agency Magnum Photos. This review is completed with an analysis of a previously unpublished aspect of Bischof’s formation at the Kunstgewerbeschule in Zurich, and overviews of two his stories covered without a commission, in Rimini and Ticino. 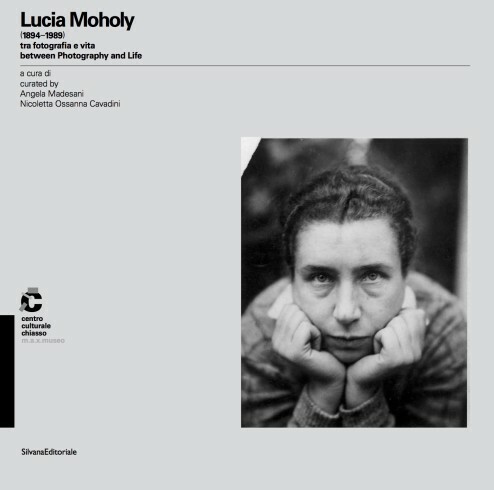 Photographer, writer and intellectual, Lucia Moholy, born Lucia Schulz (Karolinenthal, Prague, 1894–Zollikon, Zurich, 1989) is a central figure in the history of twentieth-century photography, though her fame has long been overshadowed by her husband, the celebrated László Moholy-Nagy. Through her photographic output, an integral part of the German avant-garde of the Neue Sachlichkeit, it is possible to understand and delineate the complexity of her artistic personality in order to restore her to her rightful place in the history of 20th-century culture. 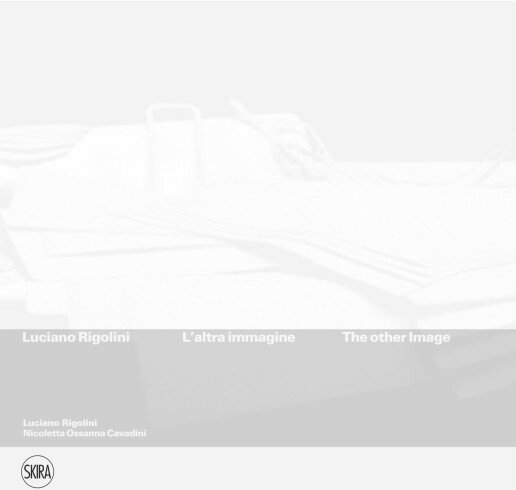 The catalogue presents the recent work of Luciano Rigolini with anonymous images, photographic documents and amateur colour Polaroids that the artist-photographer has been collecting for years. Reprocessed, subjected to specific printing methods in large formats, they form a new aesthetic dimension that questions our perception of the image. Rigolini’s work is ideally suited to reflection on the relations between photography and painting and the specifics of the photographic medium. 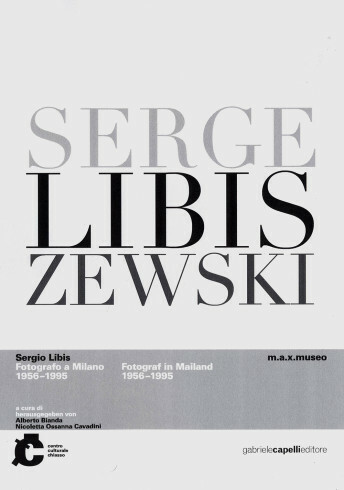 This is the first monograph devoted to the work of the Swiss photographer Serge Libiszewski, better known as “Sergio Libis”. After studying in Zurich, in 1956 he moved to Milan. There he worked as a photographer in the advertising department of La Rinascente. In 1961 he opened his own professional practice. His photographic campaigns commissioned by La Rinascente, Olivetti, Pirelli, Alfa Romeo, Giorgio Armani for Hitman and Prenatal were notable for their immediacy and freshness. In the same years his cover photos for “Annabella” and his posters became part of the collective memory of an era. The book reproduces more than a hundred photographs, posters and a selection of materials produced between 1956 and 1995, when Libis gave up his professional work. It includes proof prints, vintage prints and significant documentation of Libis’s work with Giancarlo Iliprandi, Walter Ballmer, Roberto Sambonet and Richard Sapper.